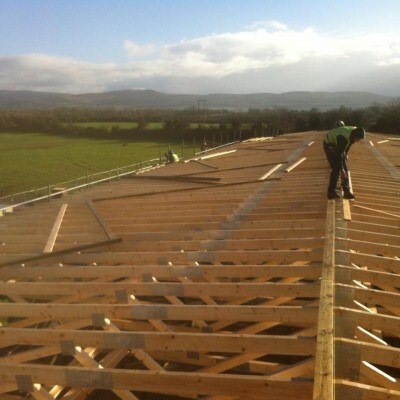 Wild Atlantic Way Construction Roofing in Kerry and Cork. Wild Atlantic Way Construction have been roofers for over 20 years. We specialise in re-roofing and natural slate roofing work, tiling and slating of new roofs which include natural slate, fibre cement, concrete and clay tile. We are contractors for lead work for chimneys and valleys, fitting of Velux windows and general roof maintenance. We are specially suited to re-roofing and extensions. Contact us for quotations which will be tailored to your individual budget and roofing requirements. We are happy to provide references on request and a showcase of previous roofing works and testimonials are available on pages as well as examples.